My final project for the Copperplate class is to make holiday cards. I usually send out 50+ cards every holiday season, so I decided to make it a big project and have them letterpressed! I wanted to give my business to a local printer, but everyone I could find around Los Angeles quoted me way over my budget. I found Enframing Press on Etsy and they were so wonderful and accommodating. They are located in Santa Cruz, so it also felt great to give my business to a California printer. 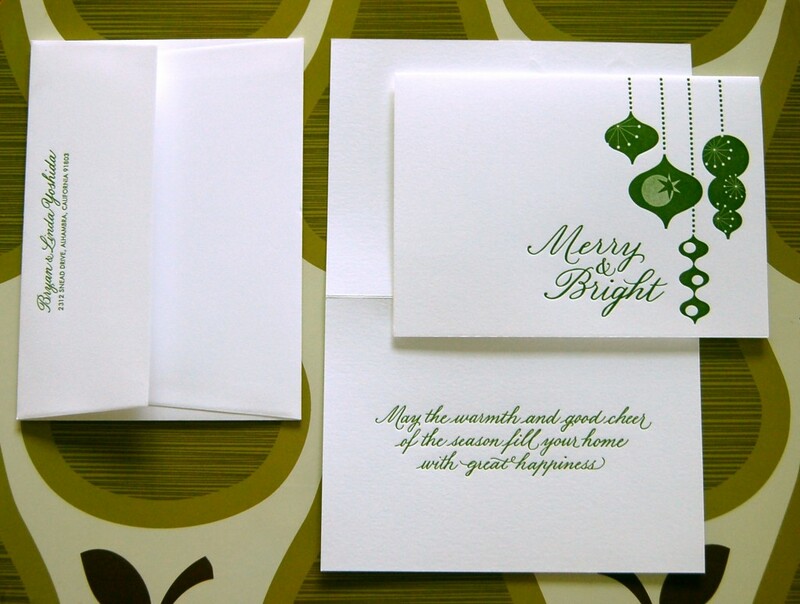 This entry was posted in Projects and tagged copperplate, holiday, letterpress, personal on December 3, 2011 by linda.